The holidays are all about cooking! Or so it was in 1995, when the Richmond Historical Society published its’ one and only cookbook titled “Down Country Cookin”. The news article is accurate in the fact that this book contains a lot of additional historical information. I believe there are still a few faded copies available for sale at the Bell School House and Archives located at Clark Library. 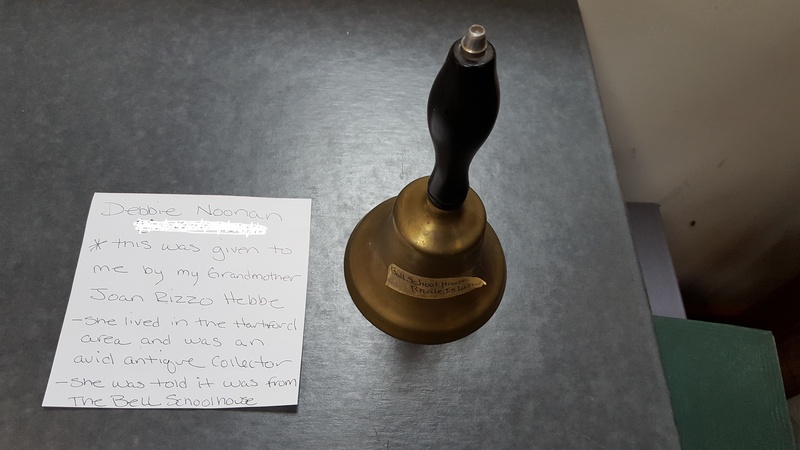 We recently acquired a teacher’s bell we were told, by the donor, was used at the Bell School. 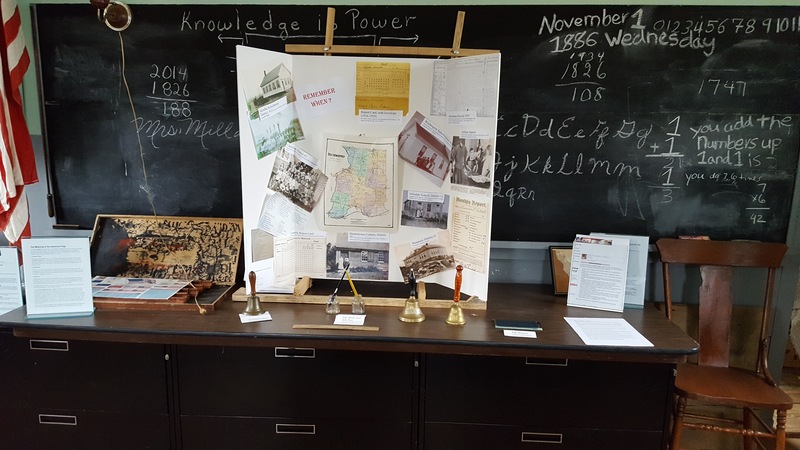 According to the donor, her grandmother, who was an avid antique collector, always represented this as being used at the School. She further stated her grandmother kept meticulous records and she feels the authenticity is true. The bell now resides, along with other similar objects, in Bell School.